With the Treasure Valley’s roads packed with cars, Boise is looking to public transit to help people get to where they need to go. On Tuesday, Boise City Council voted to contribute more funds to Valley Regional Transit and change the city’s strategy for contributing to the system in the hopes of bringing public transportation to more residents. 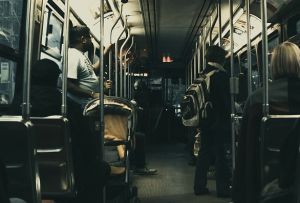 Council heard testimony from the public on the need for more frequent bus service, increased hours of operation and investment in infrastructure. The Council has now expressed unanimous support for setting Boise’s contribution to VRT as a minimum 5 percent of the city’s property tax revenue instead of a slowly increasing annual amount. This would mean the city’s contribution to public transit would rise alongside the city’s growth, increasing services available to residents. The Idaho Press reports, Mayor Dave Bieter and members of the audience testified in support of more transportation, and repeatedly brought up the need for a local option tax to fund additional public transit. Bieter says, Idaho is one of two states nationwide that does not have either state funds toward public transportation or is allowed to levy its own tax for that purpose.